The Short Version: On a dating site, your profile picture is the first (and sometimes the only) thing potential dates look at when deciding whether to send a message or move on to someone else. It’s important to get it right, but not everyone has a gorgeous headshot on hand. 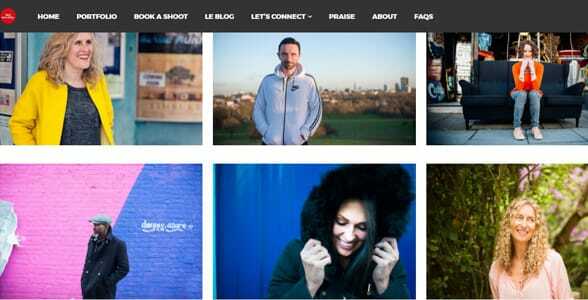 To help online daters make a great first impression, Hey Saturday employs a team of photographers who specialize in taking crisp photos of singles in London, Glasgow, New York City, and other cities around the world. This revolutionary dating service works one-on-one with clients to capture original, bold, and beautiful pictures perfect for any dating profile. All photo shoots take place outside in casual settings where the single man or woman can be themselves and feel comfortable in front of the camera. In one afternoon, Hey Saturday supplies you with up to 10 professionally shot photos that will make your dating profile more attractive and compelling to singles online. A few months back, I was chatting with a guy on a dating site when he mentioned he was having trouble getting responses from other girls. He thought it had something to do with what he was saying or the type of people he was messaging, but I disagreed. I told him his profile picture was the reason for his empty inbox. In the photo, he sat about 25 feet away with his back to the camera. All you could really see was his silhouette against a random cliffside. You couldn’t tell what he looked like, and that was his only picture! He was getting his PhD in geology, so he thought the earthy setting was a playful nod to his studies. I told him girls would much rather know what color eyes he has. A week later, he added three photos to his dating profile (one snowboarding, one with his dog, and one on a hike) and told me he had much better response rates from then on. Your photos can really make or break your online dating experience. Many dating resources stress the importance of having dynamic photos on a dating profile. In a blog post, eHarmony shared internal user statistics that revealed that online daters with four or more pictures receive more messages than other members. Not happy with the photos on your dating profile? Hey Saturday offers UK singles a fun and simple solution. 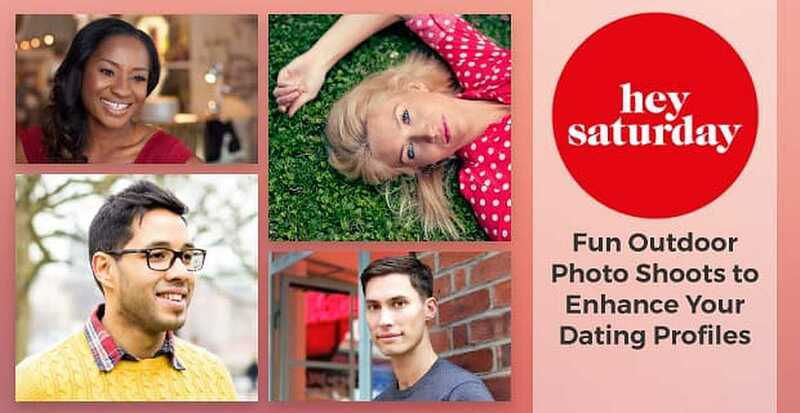 Saskia Nelson founded Hey Saturday, a UK-based dating photography business, to serve as a cool and helpful resource for singles who want to upgrade their online dating pictures. She chose the name Hey Saturday because she wants to inspire people to embrace Saturday, the most popular date night for serious daters, and attract more dates by adding a beautiful portfolio of pictures to their dating profiles. “I’m a woman on a mission to get rid of bad dating photos,” she told us. Hey Saturday’s brand values emphasize being cool, professional, bold, and fun. It’s about stepping out of your comfort zone to create something unique and beautiful. The team has an eye for framing daters in authentic and attractive ways. An experienced and personable photographer joins daters in an outdoor setting for a photo shoot unlike any other. Hey Saturday has pioneered the genre of dating photography with a fun-loving and personality-based approach. It’s popular because it works, and singles enjoy giving a professional touch to their dating profile pics. The company currently arranges 60 to 70 photo shoots each month. After seeing phenomenal success in the UK, Saskia seeks to grow her reach overseas by cultivating a network of photographers in major cities in the US and Europe. A growing demand for Hey Saturday’s unique dating services has led the business to expand to help singles worldwide find joy and love online. Londoner Saskia Nelson spent years online dating before she met her long-term boyfriend on a dating site. In that time as a modern single, she saw how someone’s bland or blurry photos could detract from the overall profile. Nothing says “I really don’t care about online dating” quicker than a lazy bathroom selfie or poorly cropped group photo. 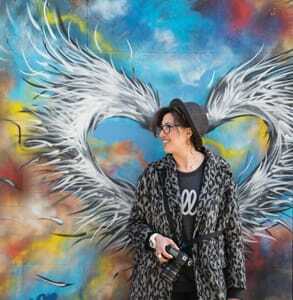 Saskia Nelson, Founder of Hey Saturday, puts her all into taking great pictures for online daters. But Saskia realized most people don’t have stunning pictures of themselves just lying around. It takes effort to capture those moments when we look and feel our best. She believed she could help people turn their dating profiles around with a professional photo shoot. According to a psychological study, once a person sees a face, it takes about one-tenth of a second for them to form a lasting first impression. That means your photo needs to be on point. It should showcase who you are and why you’re worth getting to know. That’s what Hey Saturday’s eight photographers endeavor to provide for singles in London, Brighton, Hove, Edinburgh, Glasgow, and New York City. Saskia told us she looks for photographers who enjoy talking with people and have a knack for building a rapport within a short period of time. She works closely with experienced photographers who help clients feel comfortable, look their best, and have a great time. 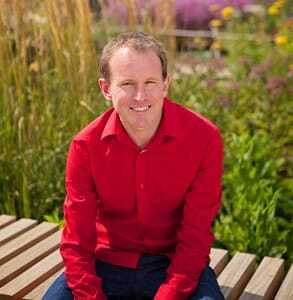 These photographers aren’t interested in taking posed or formal photos; instead they focus on a casual and relaxed view of who the client is. Hey Saturday’s engaging photographers have built an impressive portfolio of dating photos. Hey Saturday’s team uses bold colors and interesting locales to make the person stand out. The photo session can range from 30 minutes to 90 minutes depending on the dating package you select. The shoots include at least one outfit change and digital files of the best images of the day. You can also bring along a prop or accessory. All of Hey Saturday’s photo shoots take place outdoors where the light is more flattering and the backdrop more dynamic. The photographers get creative in choosing interesting places that reflect some aspect of the client’s personality. The scenery can range from football fields to quiet cafes — pretty much anywhere the client feels in his or her element. Through the years, Hey Saturday has helped many daters regain their confidence and find their match online. In 2015, one single woman traveled from Chicago to visit her sister in London when she heard about Hey Saturday. While she was abroad, she decided to book an appointment and get some professional photos for her dating profile. She had a great time touring the city with the photographer and ended up with fantastic shots to grab men’s attention. Within a year, she’d met a man online (he said he loved her photos), and they began seriously dating. Today, they’re married and expecting a baby. In a testimonial, Paul credited Hey Saturday’s photos with increasing his online dating activity. Men and women of all ages have gotten a boost in their confidence and their love lives thanks to Hey Saturday. Many say adding fresh, professional photos changed their online dating experience for the better. One single man named Paul boasted, “Views/emails have increased at least five-fold” because of his new pictures. At the end of the day, Hey Saturday aims to bring people together by showing singles in the best possible light. The company has grown primarily by word of mouth as former clients tell others how much fun they had and the difference the photos made in their dating profiles. In city after city, Hey Saturday has established a reputation as a fun and effective resource for online daters. The innovative dating solution has even crossed the Atlantic to assist American daters in need of better dating profile pictures. Some daters, like the geology enthusiast I chatted with, sure could use their help. Saskia’s emphasis on authenticity has made Hey Saturday a trusted ally to singles in the online dating world. A dedicated team of photographers work one-on-one with clients to truly capture their personalities in a bold and memorable way. That rapport, and the natural light and relaxed outdoor setting, result in beautiful and dynamic photos to make any online dater proud. By booking an appointment with Hey Saturday, single men and women can build their confidence and set themselves up for success in online dating.